I call them my League of Extraordinary Sisters. They are from Cameroon, in the motherland of Africa. They have qualities that dare you look away. They have INFLUENCE. They reside in different parts of the globe and they are involved in different professions. 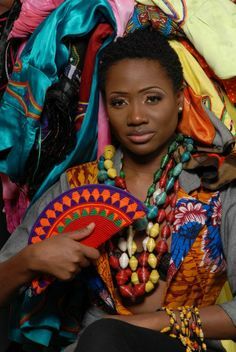 Their sphere of influence is as different as the strands of hair on their head, and because of that, neither one is greater than the other, for what one lacks in one department, the other has in abundance, and what she lacks, her fellow Cameroonian sister has. Combined, they have POWER of LEADERSHIP! On the occasion of the celebration of the International Day of the Woman, I have handpicked, carefully assessed, and now I raise my voice and the voices of my other sisters, to say “well done”, to these fine examples of Leadership, grace, talent and bold Cameroonian women of substance. They are neither up nor down, they look-not sideways but forever upwards, and that is why their star keeps rising. They are talk show hosts, Publishers, Motivational Speakers, Entrepreneurs, Fashion Designers, Educators, Business Moguls, Pastors, Authors, they have been featured in magazines, on runways, LA Times, NPR Radio, and so much more! They are not looking back to see who’s watching, they are inspiring, breaking the mold, and creating new legacies. We can stand to take a moment to say, well done sisters, daughters, mothers, friends, THE ULTIMATE AFRICAN WOMAN. I have the pleasure of knowing them on different personal levels, and it is no surprise that I see the things I do. Be inspired by these Five Women of Substance from Cameroon. So, whether from a distance or near, they have each influenced something about me, my journey, my dreams, my hustle; they are my mentors from near and far, and as they rise, a new generation of hungry women rises with them. So in no particular order, but simply as my brain will remember, World, I give you, Cameroonian Women I am proud to know on this weekend ushering the celebration of the International Day of the Woman 2015. She is the Founder and Editor of The Immigrant Magazine TV Hollywood, a multi-media corporation that specializes in the development and distribution of media that focuses on the United States growing and ever-changing ethnic population. In her recent interview with the Los Angeles Times, Pamela is quoted saying “My mission is to uplift,”, (LA Times, 10/19/2014), which she does through her interviews and vibrant magazines, hard-hitting interviews on her new Talk Show Frank Talk, which you can catch on her YouTube Channel, as well as many more endeavors. She needs no introduction, if you don’t know King by now, then allow me to do you the favor and get you from out of the rock. King Pinyin is the vibrant and dynamic CEO and founder of Ignite Your Life LLC Women’s movement. “She is an author, speaker, success coach, direct sales expert, talk show host and woman of profound faith, who has mentored and inspired many to reach their peak in life through her seminars, coaching sessions, leadership workshops, Mastermind Study Groups, Ignite Your Life Women’s Conference, Platinum Talk conference calls and speaking engagements.” (Kingpinyin.com/about-king). She is a member of the Anthony Robbins Platinum Partnership program in 2012, which is limited to a hundred and fifty serious players worldwide. She has been profiled in Success from Home magazine (2008) and Your Business at Home magazine (2007), (2010), (2011) and Women of Wealth Magazine (special edition 2014). King has been a featured guest on Wisdom Keys with Dr. Mike Murdock airing on The Word Network, Dish network and DirecTV. Her accolades cannot be contained in a paragraph, simply put, she is a visionary, a pacesetter, lives life to the full and a child of Christ. I once asked King 2 years ago when I was starting to feel the fire for my dreams, “what makes you succeed?” and among some of the pearls she shared, she said “You have to be hungry!”. Enough said. “She is a fashion designer from Cameroon, a trendsetter, has appeared and showcased her designs on the runways of Mercedes Benz Fashion week in New York and South Africa. Africa Fashion Week 2012,After realizing the potential that ethical fashion could provide, KibonenǀNY together with some partners formed the Cameroon Fashion Common Initiative Group and instigated the start up of an ethical factory, Made In Camer, which today is an independent, charity based, ec0 and ethical clothing production unit that supports local talent and provides employment to Cameroonians in one of the poorest communities. 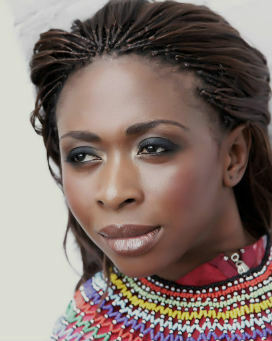 She has appeared in Forbes Africa Live magazine and I am proud to say I have known her since we were teenagers. I am proud of this young woman and there is no limit to her wings as she flies higher and higher. Very well picked selection,MahMah! I celebrate these our sisters, including my very own You, Mah Mekolle! You rock!